A quick survey about Germany with friends and colleagues reveals the usual “suspects”: the capital city of Berlin, Munich and Oktoberfest, and the fairy-tale castles in Bavaria. In my continuing series on Germany’s largest cities, I turn attention to the nation’s 2nd most populous city, Hamburg, to discover some of her G-E-M-S : Green space (Grünanlage), a place to Eat (Essen gehen), Museum, and something Special (Sondertipp). I’ve recommended G-E-M-S in Frankfurt am Main, Köln (Cologne), München (Munich), and Berlin. This post is on the northern city of Hamburg. Even though it isn’t Berlin or Munich, the northern harbour and port city of Hamburg deserves a place in the conversation. Hamburg is a city on and defined by water: the Alster lakes, the Fleete or canals, the Elbe river. These water channels are physical gateway to the Baltic Sea. You’ll also probably cross a bridge or two, and if Venice is known as a city of bridges, Hamburg is also a city of bridges with over 2300. The name of the city is derived from “Hammaburg” with the early old-Saxon word “Ham” (Hamme) meaning “wetlands” or “marshlands” and “burg” meaning “fort” or “castle”. This dates back to the time of Emperor Charlemagne in the 9th-century AD/CE, but recent archaeological digs have shown the city’s origins pushed to the 8th-century AD/CE. The city established busy profitable trading routes throughout Europe by land, and by water on the Elbe and by proximity to the Baltic Sea. Hamburg and nearby Lübeck created in the 13th-century a trading alliance which became the powerful naval and commercial Hanseatic League. Hamburg is at present Europe’s 2nd largest port by number of container units moved (after Rotterdam). Hamburg is northern Germany’s powerhouse, both economically and culturally, with the addition of print- and electronic-media companies establishing headquarters in the city. First impressions are likely to be shared by many, particularly if you’re standing at Jungfernstieg, Rathausplatz, or by Neuer Wall in the middle of the city. Hamburg is beautiful, green, and rich. Whether any one of these characteristics is really independent of the other two is an exercise best left to the visitor’s excursions and inner musings. And all without referring to meat, cheese, and bread buns. You’ll go through the canals on foot or by slow boat. You’ll wander through one of many leafy quiet neighbourhoods scattered throughout the city, including the (in)famous Reeperbahn in St. Pauli (and where the Beatles paid their dues). On the Elbe waterfront, you’ll explore the workings of the Port of Hamburg, learn about the history of the Speicherstadt (Warehouse District), and immerse yourselves in the early-morning Fischmarkt (fish market) among the buying and selling of seafood from the North and Baltic Seas. Hamburg is a beautiful city to explore, especially in the summer and with two new (2015) additions to UNESCO World Heritage Sites. The following four reasons are also why I come back. A city cannot function properly without green spaces, her “lungs”. While the city looks “out” to the Elbe river for much of her economic activity, the people look “within” to her lakes for fun and relaxation. The two Alster lakes were artificially constructed to dam the Alster river and generate power for water mills in centuries past. The “inner” and “outer” refer to their former locations relative to the city walls which are no longer present. The two lakes are popular for sailing and rowing, and along the banks are an abundance of walking, jogging, and cycling paths, meadows, and parks. 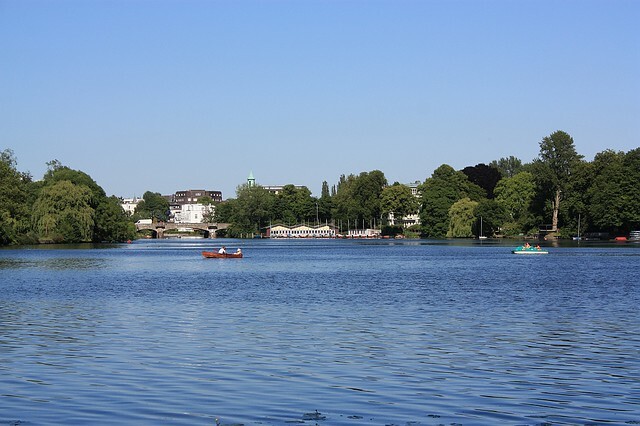 A meandering boat tour in the Alster lakes easily convinced me why residents love this stretch of blue and green. Transit station: S-/U-Bahn Jungfernstieg, S-Bahn Dammtor, or U-Bahn Stephansplatz. Transit station: S-/U-Bahn Jungfernstieg, S-Bahn Stadthausbrücke, or U-Bahn Gänsemarkt. I admire a great deal of art and photography, and I’ll seek them both out wherever I go. In Hamburg, I’m a regular at the Kunstmeile (Art Mile). 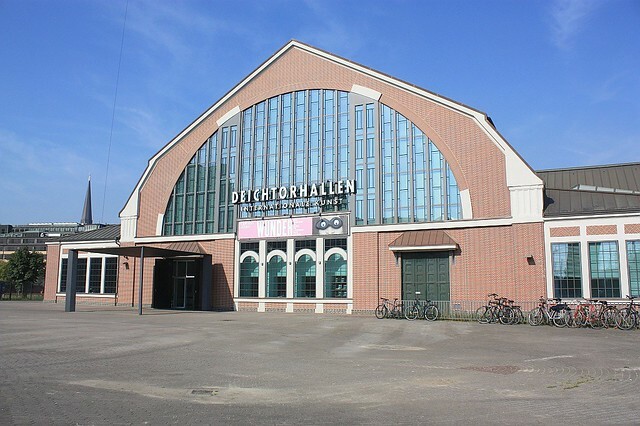 The former market halls at Deichtorhallen make up one of the five Kunstmeile institutions, and the Haus der Photographie regularly presents a variety of photography exhibitions, including historical and contemporary collections. One lasting memory is a retrospective of 19th- and 20th-century photography from Paris, including work by Atget, Brassaï, Fukuhara, Hervé, Marville, Kertész. Transit station: S-/U-Bahn Hauptbahnhof, or U-Bahn Steinstrasse. Yes, the city is loaded with money, but that doesn’t mean I can’t put my feet up with a beer, some easy homestyle food, and watch people going about their errands. 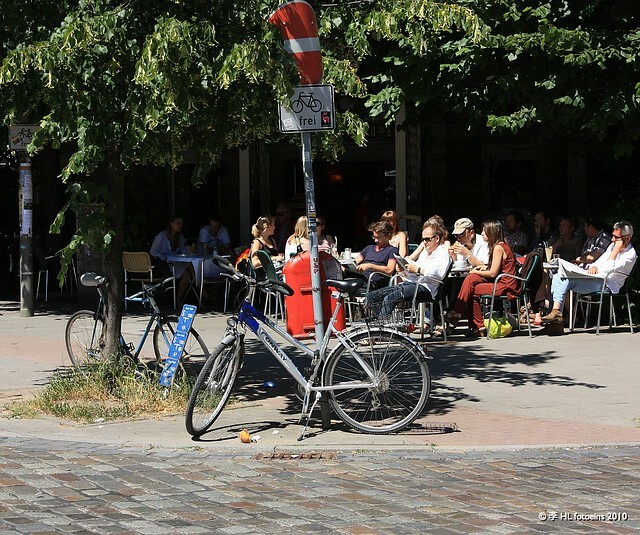 I like hanging out in the Sternschanze or the Schanzenviertel, where numerous trendy boutiques, small galleries, cozy cafés, local bars and pubs, and a variety of restaurants will fill an afternoon or two, particularly along Schulterblatt and Schanzenstrasse. For the hip, trendy, alternative, and everybody in between, there’s a welcome atmosphere, even if recent injections of money and redevelopment have raised warnings of gentrification among area residents. Transit station: S-/U-Bahn Sternschanze; from this station, I’d also recommend the U3 train for a look around the “city circle”. S: Special (Sondertipp) – Sternschanze. The summer is one of the best times to visit the Hanseatic port city. Local transport: Hamburg Verkehrsverbund (HVV), available also in English. Depending upon budget and preferred location to stay while you’re in town, do consider these Hamburg train stations: Hauptbahnhof (Main Train Station) indicated in the map above, Dammtor station, Altona station, and Harburg station. Trains to Hamburg take about 2 hours from Berlin, 4 to 4.5 hours from Frankfurt am Main, 4.5 hours from København (Copenhagen), 4 hours from Köln (Cologne), and 6 hours from München (Munich). I made all of the photos above, and this post appears on Fotoeins Fotopress at fotoeins.com as http://wp.me/p1BIdT-4HP. My Praha: Na hrad! To the castle! Great Pics Henry. You were definitely luckier than us in terms of weather, it was damp and miserable when we visited! Hamburg is amazing, and thanks for your tip to visit the Elbtunnel, we loved it! Hi and thanks, Margherita! I’m glad you got to visit the Elbtunnel; I think it’s so cool – did you walk all the way under the Elb river? 🙂 It’s easy to forget that the proximity to the North/Baltic Sea can bring grey wet days, and it’s no surprise it’s a lot less fun, particularly in Germany, trying to see sights in cold wet weather. Truth is, I’ve been very fortunate to visit Hamburg in all four seasons. Thank you for reading and for your very kind comment! These are my favourites of your posts! I love your GEMS articles! How do you do those google maps things at the end? It makes everything look so professional! Hi, Charlotte. And here I thought it was the careful choice of fonts and black-text-on-white-background that made everything look totally “pro”. 😉 I’m very glad you’re enjoying my G-E-M-S articles. You might easily guess what’s coming next in the series, which is a little problematic because of the “difficulty” summarizing a very big vibrant city in just four descriptors or characteristics. But I will give it a good try! If you use the Google Maps website, there’s a way to include maps; thankfully and as you’ve seen, it’s very possible on wp.com hosted sites. For self-hosted, I’m sure there are plugins one can find and install; please send me an e-mail if you’ve questions. Thanks again for reading, and for your lovely and very kind comments! Hi! Where in Hamburg did you live? To where in Germany are you and your family planning to move? I lived in Heidelberg for a couple of years, and I’ve visited Germany a lot over the last decade. Thanks again for reading and for your kind comment! Great post! Love the concept of GEMS. I’ve made it to all but Hamburg sadly. Looks awesome. Only a few more days left here in Germany sadly. Hi and thanks, Nicole & Renee! I think you’ve done a pretty good job visiting parts of the country. I’m also pleased to read there are parts of German you still want to visit; I hope you both have a chance to go back and visit. Thanks again for stopping by and for your comment! Had no idea that Hamburg was where the Currywurst comes from, and had never heard of GEMS… I clearly haven’t been in Germany long enough. We’re near ish Hamburg so may have to check all of this out! Hi, Laura. 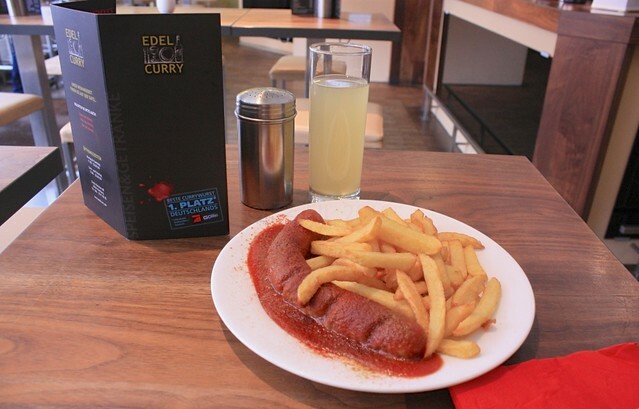 I liked taking the “travel gem” cliché on its ear, and that’s why I came up with “G-E-M-S.” If you head out to Berlin, you may be convinced that they’ve got sole rights to the origins of Currywurst, but as I’ve mentioned, there’s also a story out of Hamburg, too. 🙂 Where “near-ish” Hamburg are you located? Thanks for reading and for your comment; I hope the G-E-M-S will be useful!